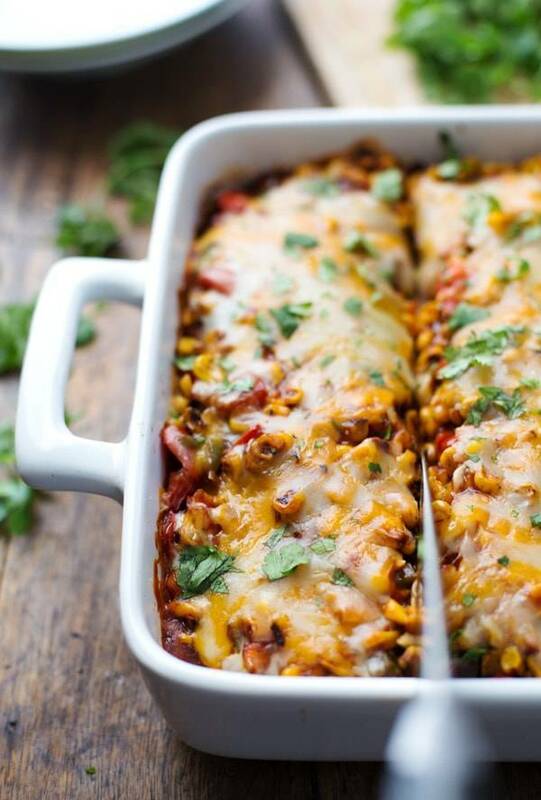 A Mexican casserole that’s both healthy AND delicious? Filled with roasted corn and peppers? Yesss. The weird pictures with the snarky, random text captions right on the photo? I am that person who tries to act smart and professional when using social media but is secretly obsessed with memes. I mean, we’re talking meme LOVE. I don’t know what it is about them, because if I try to read them out loud and/or explain them to Bjork, they fall flat and I feel like a crazy. But it’s like the magic has to happen in your head because when I see a good meme, especially on involving animals, extra-especially involving kittens or baby animals or crazed dogs, there is an out of control laugh track going off in my brain. Er, in my face. So naturally this post is dedicated to all the meme greats of the world. 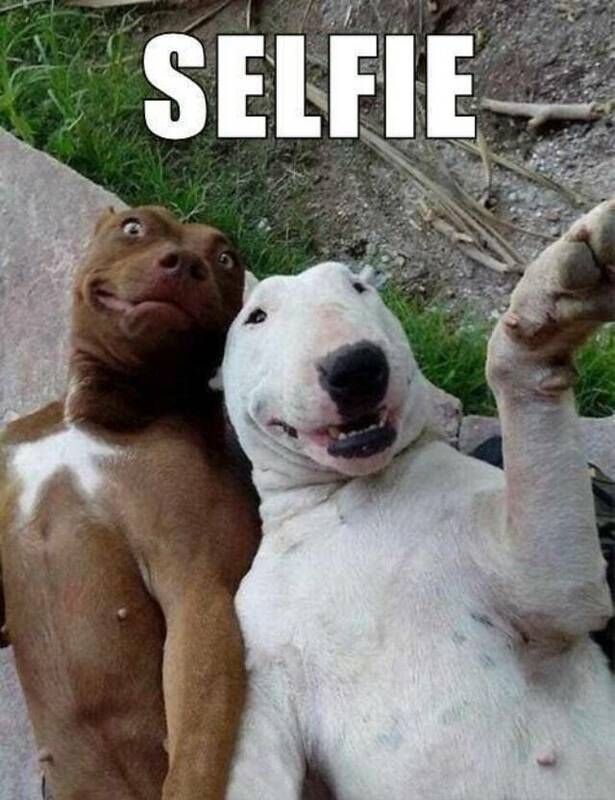 You make us laugh uncontrollably and make social media 300% more fun; we salute you. Like, for example, Grumpy Cat. I assume you know Grumpy Cat memes because I assume you are fellow time wasters who know spend the hours of your day looking and laughing at cat photos. But now I’m realizing maybe you’re people who use time appropriately and therefore don’t know Grumpy Cat? I don’t want to boss you around but Googling that right now might be THE MOST important part of your day. Become acquainted and enjoy. LOLZ! I love them so much. So for today’s post I made one of my food photos into a meme. NOT. That would have been weird. 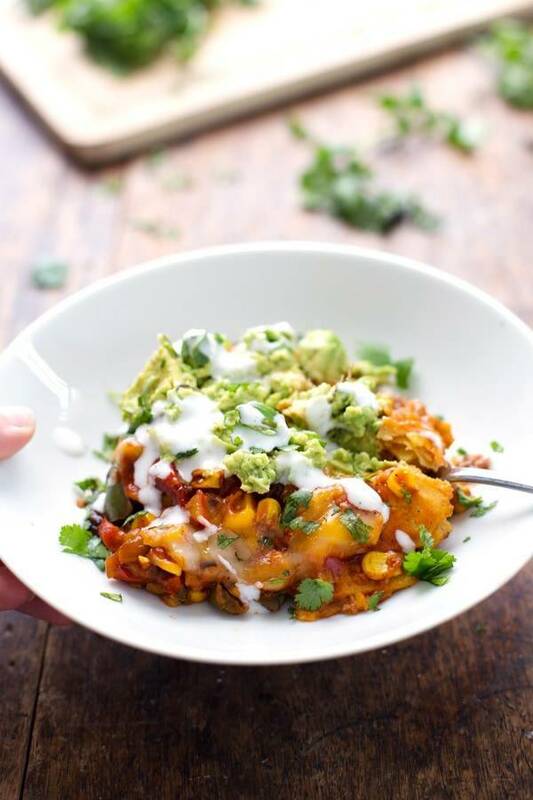 More like I made this delicious casserole of vegetarian, naturally gluten free Mexican goodness that has less than 250 calories per serving because it’s loaded with veggies and beans and those are things that are good to have in your life. This was inspired by one of my favorite meals of all time, a frozen dinner by Amy’s Organic brand. Yeah, yeah, whatever. Judge me for loving frozen food. And memes. But I can’t deny the truth which is that those Amy’s Organic Mexican Bowls are delicious and a gift to my life when I don’t have time to make dinner (read: when I don’t have time to make dinner because I’m pages deep in the world’s best memes). So the layers go like so: corn tortillas, refried beans, roasted peppers and roasted corn, enchilada sauce, cheese, and repeat. Sort of. It gets pretty full even if you’re using your biggest pan, which I was, so I really only got 1.5 layers jammed in there and baked up to cheesy, veggie perfection. You might be raising your eyebrows at the mention of the corn tortillas in there, but they actually end up being delicious when completely soaked with enchilada sauce. It just works. If Amy’s can do it, we can, too. Bjork loved this, I loved this, our friend who took some leftovers home loved this, and I superloved that we all loved it. Hey you guys? Just remember. Memes for life. Now bake until bubbly, scoop onto plate, top with guac, and devour. Oh and hey. Guacamole on top is not optional. You must you must you must. 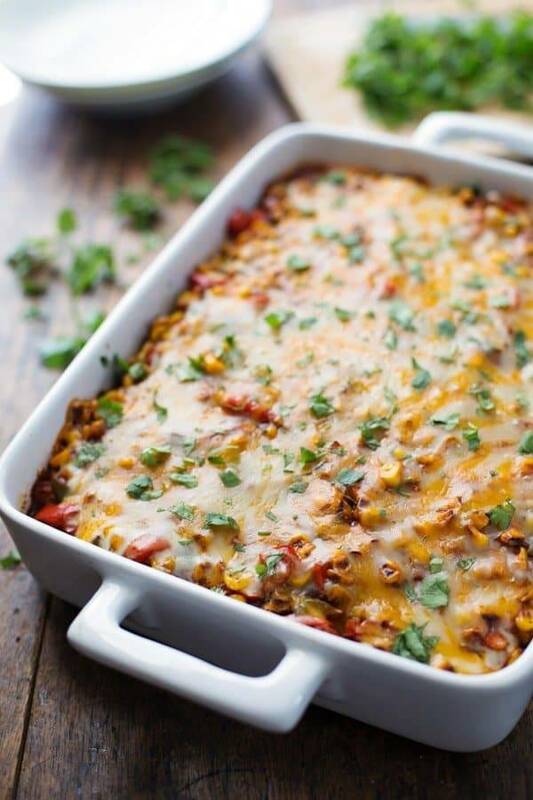 This Healthy Mexican Casserole has roasted corn, roasted bell peppers, cheese, enchilada sauce, and corn tortillas. Perfect leftovers for lunches! To make this completely gluten free, make your own enchilada sauce or look for a gluten free brand. Under 250 calories and ALL THE CHEESE? You are a food wizard. And I <3 it. The guacamole on top is my life. P.s Grumpy cat? YES. LOVE HIM. Delish! I made this the other night, and while I would have kept the recipe as is, I had to accommodate my carnivorous boyfriend. I poached bone-in chicken breasts in vegetable broth, shredded the chicken, tossed the shredded chicken in some cilantro, garlic, a few spices- kept pretty bland. I then incorporated the chicken as a layer. Topped the finished product with some onions that I had left to pickle in some red wine vinegar, some avocado, and some cubed tomatoes, a dollop of sour cream. Absolute heaven! And it made enough for a few subsequent meals. LOVED IT. What does it mean by tortillas? Can I use Tortilla chips? I would use flour or corn tortillas which are what chips are before they are fried. So they should be soft, because you layer them in the casserole to bake. Mmmmm….Lindsay. You had me at the first photo. This looks perfect and healthy for a weeknight meal! I’m so amused right now with these hilarious pics. I can’t even tell you how much time I waste laughing at pointless pics on Pinterest but somehow it makes my day brighter. Love the ‘spring break’ one. Never saw that. It’s great! Did you add chicken raw? No chicken in her recipe. Monique said that she added chicken. Poached chicken. That means cooked in liquid. actually grumpy cat is a girl. the irrelative information of the day lol. just reffering to the girl that said that she loves him lol! oh and btw I am totally drooling all over the keyboard right now. love your recipe so much. just need to find a vegan veggie broth to use so i can make my own enchiladas sauce to use! PS. She’s right, do not skip the guac! Umm..Amy’s Burritos are a lifesaver when no one wants to cook in our house!! And I love them for lunch when there are no leftovers! So of course no judging..especially when that enchilada casserole looks that delicious! Thanks for another infinitely customizable dinner idea. God memes,I have a thing for the depressed pug ones. I am oven baked veggie fan especially if has all that cheese on it. I am wanting this right now even though I have already ate. Mexican is the only way to get through Monday and bonus that this is healthy. Looks amazing! Mexican is one of those things I’m allllways craving, so just gimme all of this! LULZ Linsday, I’m such a sucker for memes too; I’m glad I’m not the only one. One of my fave ones is THE BABY (I just wish I could post it here! ), do you know “him”? Loving this healthy casserole btw, looks so delectable! No, I’ll have to look that one up! HA, I LOVE Grumpy Cat. I saw a bumper sticker with a picture of him that said, “Grumpy cat hates your stick figure family,” the other day. We love casseroles and mexican food. I’m loving this dish. I thought I was the only one who couldn’t look at just one meme! Your casserole looks amazing. I can’t wait to give it a try. Being a Northern transplant in Atlanta, I almost DIED laughing at your snow meme! And this casserole looks divine! Amy’s Burritos = lazy lunch or dinner. Praise be! I can’t wait to try this out! Yes! 🙂 love that you understand. 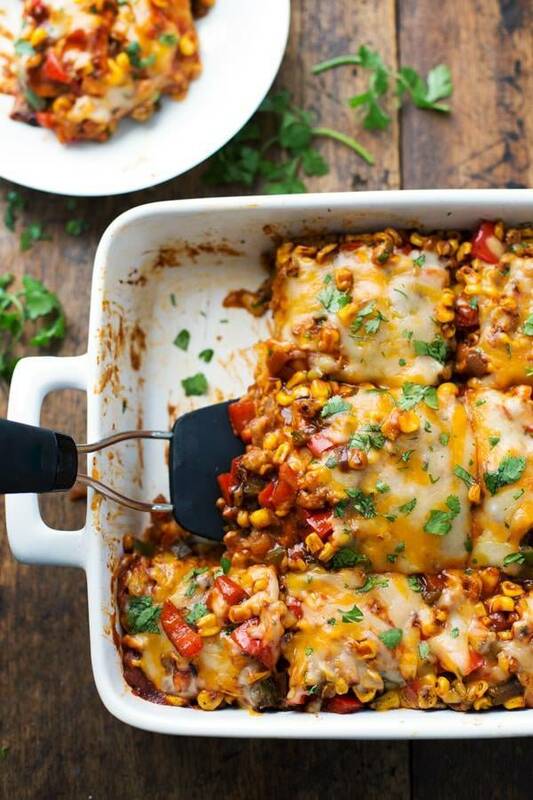 This looks delicious -Ive used corn tortillas in casseroles before – I think it works perfectly. Haha!! I totally love memes Lindsay! This post made me laugh! And oh my gosh your photos are beautiful. This casserole looks perfect! Oh this casserole and a meme marathon are so happening in my house this week. Mmmmm. Looks really good! I’m always down with a good laugh. A good laugh and good food, even better! This is so beautiful! I love colorful meals, especially when they’re absolutely cheesy and delicious, too! Oh, I love those Amy’s Mexican Bowls! I will give this recipe a try for sure. How well do you think it would freeze? Has anyone tried freezing this before baking? 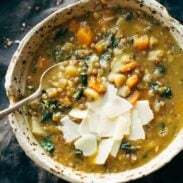 We absolutely love this recipe. 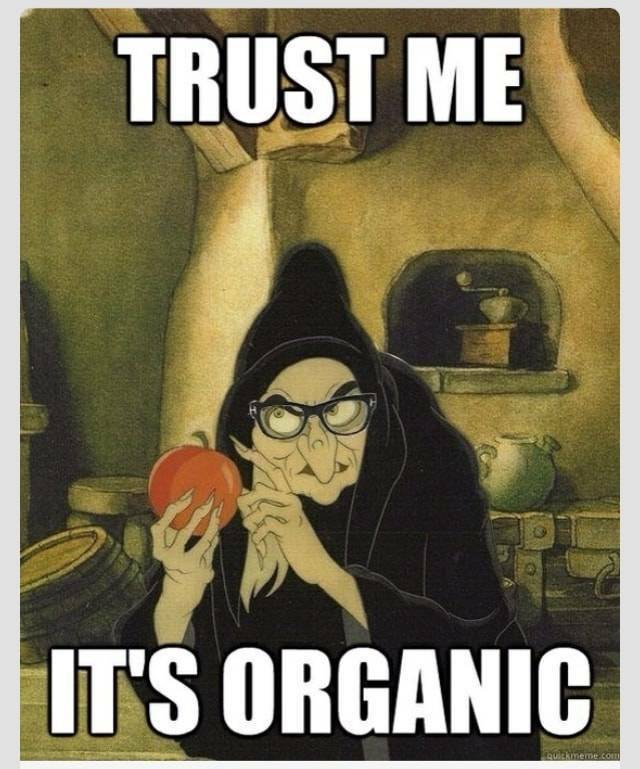 It has been in our regular rotation for a long time now! It does freeze well. You just need to thaw it completely before baking. We always make one and freeze one with this dish! DO you freeze before or after baking? This looks absolutely amazing! I can’t wait to make this. I am always looking for healthier mexican options since it is one of my favorite types of food. I also love that you calculate the nutritional information for us. I’m always looking for ways to make mexican food healthier, and this is just the ticket. 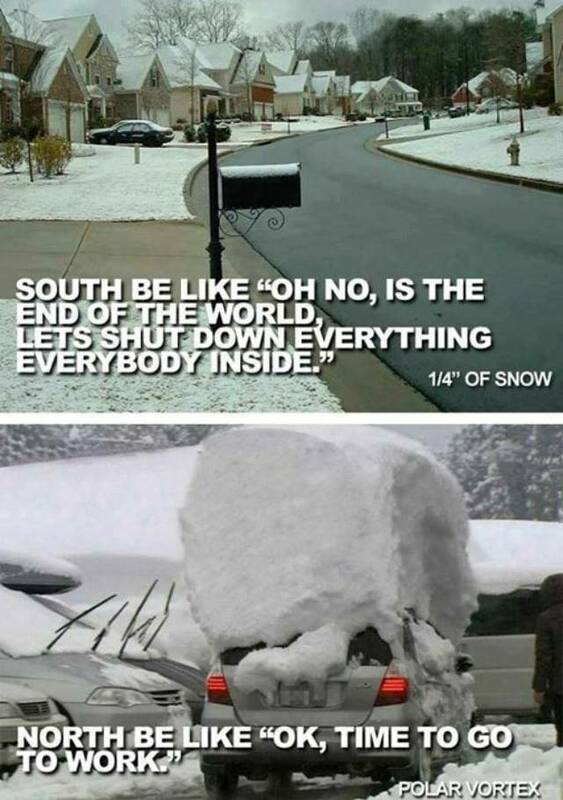 Also, I love the south vs. north snow meme, so accurate!